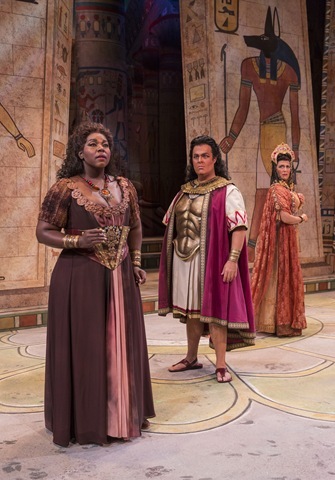 On Saturday night, the curtain at the Sarasota Opera House will open on a production of Giuseppe Verdi’s Aïda, marking the beginning of the 57th season at the house. And with a production later in the season of La Battaglia di Legnano, it will mark the culmination of a 28-year project unprecedented in the annals of opera: A performance of every opera composed by Verdi. It has been the brainchild of Victor DeRenzi, the Sarasota Opera’s artistic director since 1983. 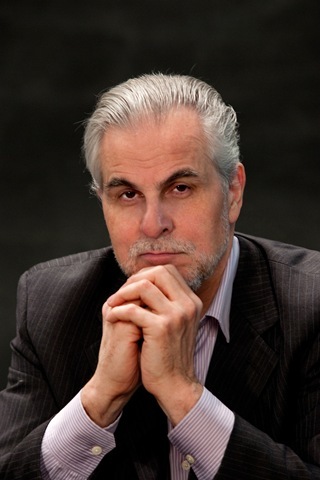 A native of Staten Island, N.Y., DeRenzi, 66, studied at Queens College of the City University of New York and was mentored in conducting by Adriano Petronio and Carlo Moresco. He has produced more than 100 different operas and more than 600 performances for his company, which operates out of the restored 1926 Sarasota Opera House on Pineapple Avenue. In addition to seldom-heard Verdi, DeRenzi also has led performances of unjustly neglected American works such as Robert Ward’s The Crucible. G: First I wanted to ask about La Battaglia di Legnano. This is really the end of the first period, before Luisa Miller and the breakthrough to the 1850s. For people unfamiliar with this work, what can you tell them? V: Verdi’s music had always been used toward patriotic ends, but he never really wrote them in that context. When he wrote Nabucco and he wrote “Va, pensiero,” it was about the piece, it was about Hebrew slaves. It was not meant to be about oppressed Italians. It was meant to be about the Hebrew people who were oppressed. With Battaglia, it was really intended to unite Italy. I mean, you have an opera in which somebody jumps out a window and sings, “Viva, Viva Italia!” So it was really meant to pull at the heartstrings. What happened, unfortunately, is it was written in 1848, around when the first big revolutions were happening [in Europe], and everybody lost, and the oppressive governments took over again, so the piece was not performed. So it didn’t really get immersed in the hearts of people. I find that the period thing doesn’t really work, when we break down Verdi into early, middle and late, because every piece has something that leads it forward. And in many ways, (La Battaglia) is a major advancement. We always thought Rigoletto, Trovatore, Traviata, that was the middle period. And I remember the first time I heard Luisa Miller, I thought, “Wow, this has some great music in it.” The last act of Luisa Miller is as great as any of those other pieces, and I keep finding that (in La Battaglia). I find really interesting, fantastic music in this piece. And I really have gotten to love it. For me, it’s the last Verdi piece that I haven’t conducted. G: You’ve conducted all the Verdi repertoire. V: Once this is over, I will have conducted everything he wrote. Everything that’s conductable. Every opera, every big orchestral piece. G: And La Battaglia is explicitly political. V: Yes. It’s funny: when you read about the Risorgimento, it’s almost impossible to tell the rhetoric of the Risorgimento that was real from the rhetoric of La Battaglia di Legnano, which is poetry. And the music is inspired. G. It reminds me of (British writer) Julian Budden’s observation that after Wagnerism had worn off, producers kept going further and further back in the Verdi canon and finding things to love. V: What I’ve found over the years with this cycle is you can’t judge a piece unless you’re in the theater, seeing it. And I think that’s what the early writers about Verdi, who talk about Il Corsaro (and other early works) and they just kind of dismiss them all, had never seen those operas. There was no chance. And at a certain point, you couldn’t even hear it on a recording. But to me, when you see it on stage and you hear it in the theater, it takes on a completely different context. I think of an opera like Alzira, and it’s about the native South Americans, and you hear the music, and you think, “This is kind of perfunctory.” But when you see those characters on stage, you realize he was writing for those characters, which he always did. He always wrote for specific characters, and he always wrote about the humanity of those characters. G: There have been a lot of scholars writing about these works, but there can’t be many more people besides you who have had the kind of hands-on experience you’ve had with these operas. It’s almost like you met him at Oberto and conducted for him all the way through Falstaff. V: Even earlier than that! And I feel like I know him from a child to the end. Hopefully this is true for every musician: You can’t just pick up a piece and learn it. You have to learn it in its context, the historical context — not the musical history, but the actual history and the history of the composer himself. So when I work on Battaglia di Legnano, I’m learning about this battle that took place in 1176, I’m also learning about what happened in 1848, when it was written, what theater was like, what opera was like, and then I’m also learning about what Verdi was like at that time. And I’ve followed that through his whole life. G: After all that, it’s almost as if you know him personally. And there are enormous questions that come out of that. What was he like? What are the big things you’ve learned about him? V.: There’s a lot. You also have to remember with Verdi that there about 15,000 letters of his that exist, and I’ve read almost everything that’s available. First of all, you learn about him as a friend. And not only about him, but you also meet his friends. I feel like I not only know Verdi, I also know his wives, and I also know [librettist Salvadore] Cammarano and [librettist Francesco] Piave. If I were to have dinner with Verdi, I also know which of his friends I would want to be there. And his interaction with those people shows you his humanity. And then you suddenly get a glitch when he has a fight with one of his friends, because a friend owes him money and never paid it back, or somebody said something, and it was taken out of context, and Verdi just immediately wrote him off. You also learn those kinds of things, and that Verdi wasn’t a saint. He was like us, he just happened to be much more talented. And I think the thing to me that’s always amazing is first of all, when I’m conducting a piece, as I’m working on Aida, I have to go back and say “Oh yeah, he also wrote Otello. He also wrote Nabucco.” All of this stuff is by this one person. You and I were talking about Mozart earlier, and with Mozart, it’s not comprehensible. Mozart was never one of us. Mozart was Mozart. But Verdi was one of us. He was a very talented young boy, and people saw the talent in him, and it was his father-in-law [Antonio Barezzi] who invested his emotional life as well as his money into Verdi, and he went from being this really talented nice kid into a genius beyond description. To follow that musical thing, as well as the personal thing, to see how he changed his loyalties, and how he felt about politics, and how he felt about so many different things from his teenage years to his 80s, we don’t have many people we can do that with. The other major composer who comes to mind that did that was Strauss. You have a long life with Richard Strauss, but Richard Strauss didn’t constantly get better. Salome is a pretty great opera, and the early operas are great, then he kind of gets into this [rut]. There’s the Four Last Songs, and they’re fantastic, but there’s a lot of stuff in there that’s not as great as Elektra and Rosenkavalier. But with Verdi: Wow. This one’s better, and this one’s even better. Not that there aren’t slumps in there, but certainly once he gets to Luisa Miller, Stiffelio, everything is worthy of performance and is great. G: I was listening the other day to “Celeste Aida,” and I couldn’t help but notice how different it is, how unusual and different the structure is. V: For years, Verdi has been taken for granted because he speaks to you immediately. 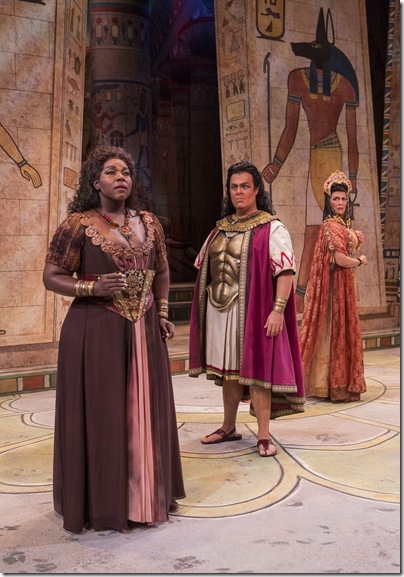 You can look at “Celeste Aida,” as you just did, and find this musicological and theoretical stuff that’s so amazing, or you can just say, “Oh, I love this tune.” You can leave the theater and say, “This is a great melody.” And when you get to operas like Aida and Otello, it’s not developed in the same way, it’s a never-ending cycle. You think of the Otello Act I duet, and here’s a melody, here’s a melody, here’s a melody — and just when you think, “How can you get better than this,” he does. V: The interesting thing for me is that when you think of Wagner, Wagner had many people who followed in his footsteps. [Engelbert] Humperdinck was like Wagner in a way, and Strauss is a form of Wagner, and then Mahler, and early Schoenberg. That is impossible with Verdi, because with Verdi it gets to the simplest thing possible, and you can’t really imitate that unless you’re Verdi. G: I’m reminded of Harold Schonberg in The Lives of the Great Composers, who notes that from the death of Donizetti to the emergence of [Amilcare] Ponchielli in the 1870s, there’s only one composer who dominates Italian opera, and that’s Verdi. He lists all these composers who had premieres in 1869, and they’ve all completely vanished. V: And even if you go a longer way, until Puccini and that group came along, you have Ponchielli, with his one opera that’s done [La Gioconda], and then you have [Arrigo Boito’s] Mefistofele. And that’s pretty much it. But that’s kind of it for Germany, too. If you take Wagner out of there from those years, who’s left? [Albert] Lortzing? 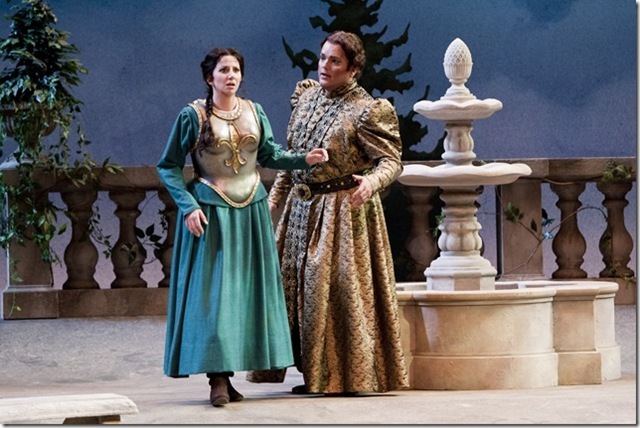 G: What kinds of technical things do you see in Verdi’s growth from the romances of the 1830s to Falstaff? What does he do to get to that simple style? V: First of all, what he doesn’t do is over-complicate you with the orchestra or with anything. Everything is simple. I love this quote of Einstein, that everything should be as simple as possible, but not simpler. And it applies to Verdi. And even with his orchestration, it’s not as if he’s taken in all these strange instruments, it’s just your basic orchestration. It’s the same orchestra he used most of his life, except instead of two bassoons, he added four. And it’s the same instruments he was writing for when he was a young boy. But I think what you see is that he becomes more and more sensitive to the drama of the piece. One thing I spend a lot of time on is that there are a lot of people who write melodies. And they write beautiful melodies. And I’m not even talking about classical composers. I’m talking about people like [Sigmund] Romberg. Romberg writes beautiful melodies, Richard Rodgers writes beautiful melodies. So did Cole Porter. But they’re not like Verdi melodies, and I think the reason is that the Verdi melody comes directly from the text. And all of that made the music for him, and I don’t think people are aware of how much the librettist is really responsible for the music the composer writes. Because he says, “Now I’m going to change meter, so you have to change the music.” So as music changed, rather than him saying, “I’m going to change my music,” he changed his poets. He suddenly got Boito to write for him, who had these incredible ideas [and was different] from Piave, who was a really good poet but a simple man who got right to the point. And Verdi would say, “No, stop, you can’t say this, don’t say with two words what you can say with one.” Then comes Boito, who is the complete antithesis of all these people, with this sophistication, not only with the words he used but with the poetic forms he used. So Verdi’s music then became about those words. 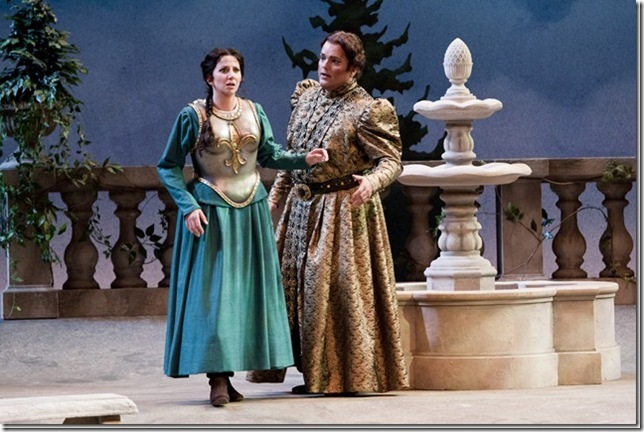 Otello wouldn’t have been possible with Piave’s text, or Falstaff, and impossible with Cammarano’s text. So I think his gut, was as a theater person, he was going to follow the text; that was going to create the music for him. And it did. He learned the libretto before he set it to music. There’s a book [by Marcello Conati] called Encounters with Verdi, and at one point, they talk about [Giuseppe] Giacosa, who was Puccini’s librettist and a playwright, going to see Verdi. And Verdi started reciting Otello, the libretto, to them. And they said, “We suddenly heard his music, even though he wasn’t singing.” And so I think that was a major part of his growth. The thing that was Verdi about that growth is that he never said, “I’m going to do something different.” He just did what he did in a different way. It wasn’t different for the sake of being different. Because sometimes you feel that with composers: OK, I’ve done enough of this, now let me change. But it’s not from their gut. G: It says something about Verdi’s taste. There’s something similar to Verdi and Boito with Strauss and [librettist Hugo] von Hoffmansthal, and Strauss’s music matches it. 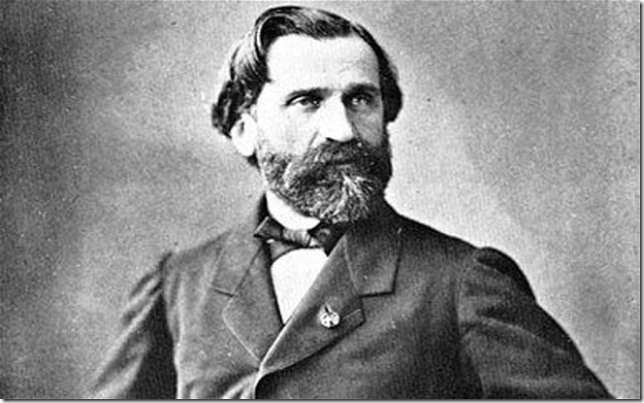 But with Verdi, there have been criticisms of his choice of libretti, but he knew what worked. V: If a libretto turns out a great opera, it’s a good libretto. There’s no two ways about it. That’s the purpose of a libretto, or else we wouldn’t have to write the music to it. Hamlet is probably not a good opera libretto the way Shakespeare wrote it. And the other thing is that they were the great stories of his time. People can say they don’t like Ernani, but Ernani was by Victor Hugo. It was an important work. 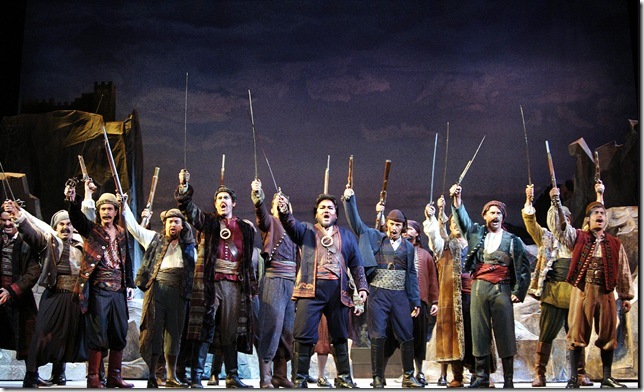 Il Trovatore and the pieces of [Antonio Garcia] Gutiérrez; he was an important playwright. (Verdi) expressed the taste of his times. And he expressed it better than anybody. If you think about (who is) the great dramatic writer of the 1800s, you have to say Verdi. We don’t do Ibsen that much, we don’t do Victor Hugo, we don’t do any of the Spanish playwrights or anybody else. We do Verdi. And we do Wagner because the music’s great, not because his pieces are theatrically compelling; no one’s ever accused him of that. But with Verdi, he knows. One of his great things is he never lost sight of what it was like to be in the audience. And when he was a kid, and he studied in Milan, he went to the opera all the time. And he observed things: this goes on too long, this doesn’t go on long enough. And he put that into practice as a composer. It never became about him, it was always about the audience. Which is a very Italian thing. It’s very different from the German aesthetic. German music happens in theaters, but it also happened in symphony halls and with string quartets, stuff that’s much different than that. In an opera, you need the audience. You need every night that your opera comes to find 2,000 people that want to see it over a long period of time, and Verdi never lost sight of that. He didn’t pander to those people, but he knew what they wanted. And they were also a very sophisticated audience, because they were listening to contemporary music. When you look at what operas did, if you had an opera company in 1850, you did all contemporary music. You did Verdi, you did [Saverio] Mercadante, you did [Giovanni] Pacini. Maybe you did a Don Giovanni, but people would complain: Why are you doing this old music? It was kind of like Broadway theater in the 1950s. You didn’t do a revival in the 1950s. You called Frank Loesser, you called Rodgers and Hammerstein, you called Lerner and Loewe. And that’s really what opera was like. G: To the point about craft, it’s interesting Verdi, even later in life, is writing to someone and saying that he had just seen Gluck’s Orfeo, and liked it. But then he critiques it, saying Gluck wasn’t able to find the right melody for a particular scene. It’s a piece from 1762, and Verdi is saying: You know, I would do something different here. That speaks to the fact that his craft was always in his head. V: And he was that way with his contemporaries. He really was very perceptive about how they wrote. He said that Gounod writes the most beautiful melodies, but he has no sense of drama. G: So when you started this cycle in 1989, did you say: Here’s what I’m going to do. I’m going to do all the Verdi that ever was. And I thought, if this opera, which nobody performs, has something this valuable in it, then maybe the others do, too. So eventually, within five or six years, I was going to do every Verdi opera, and then a year or so after that, it became we were going to do everything he ever wrote. And we have. We’ve done the songs, the string quartet, we’ve found 10-measure piano pieces. G. And the different versions of the operas, such as the early Simon Boccanegra and the later one, which is much different. V: And Macbeth, Forza. Which is why we say we do 33 Verdi operas, and other people say 27 or 28. G. And Don Carlos. How many different versions of that are there? V. There are really two, but there’s a lot of music that doesn’t fit in any that you could do. So we’ve done all the Don Carlos music, and I don’t know that anyone’s done that because you usually have to leave out A to do B. But we would do A and then do B on a concert. 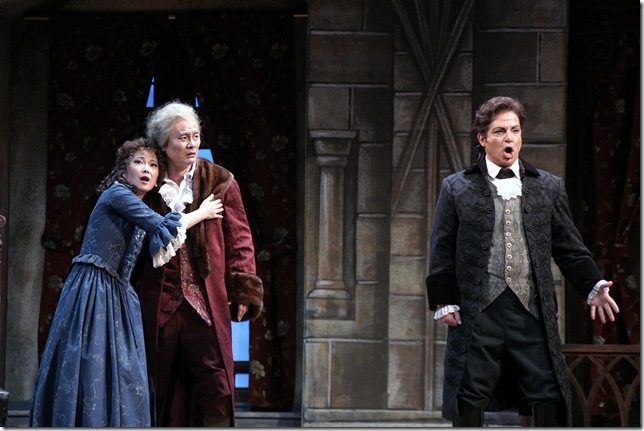 Generally, what it is, if the music is dramatically different, we perform it in the opera. If it’s musically different, we do it on a concert. Though with Traviata, there are five sections that are different, but there’s no dramatic difference, he just changed the notes. So that we did on a concert. G. Did you have any naysayers when you started this project? V: I had people tell me they liked Puccini more. What has happened with this cycle is that people want to be informed. They don’t want to go to the opera and be stupid. They want go and say, “I know this.” So when you do an opera like Il Corsaro, which nobody knows, here you are in the same place with everybody else in the world: we don’t know Il Corsaro. Except [a Sarasota cycle attendee] could say, “Well, I’ve seen ‘Attila,’ I’ve seen ‘I Masnadieri,’ and I’ve seen what came after,” so our audience has more context than that. I don’t think there are many audiences that have seen Jerusalem or I Lombardi, or all the music of Don Carlo. But this audience has. They have context, and they’re interested in that. And in a way they judge the piece by what they see. They don’t bring something to it that’s meaningless. 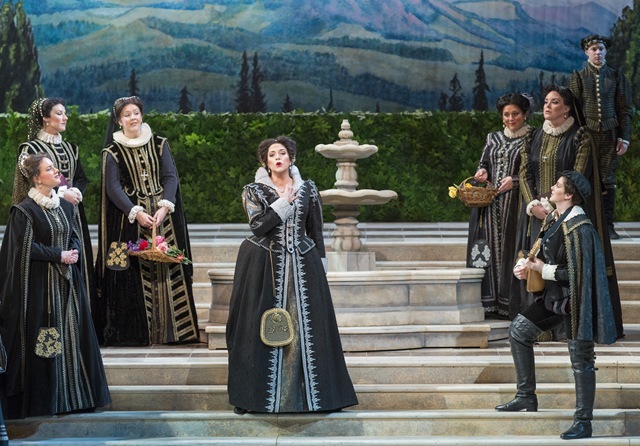 They judge it in a way that an audience may have judged it in Verdi’s time. OK, I like this. Or, I don’t like it. 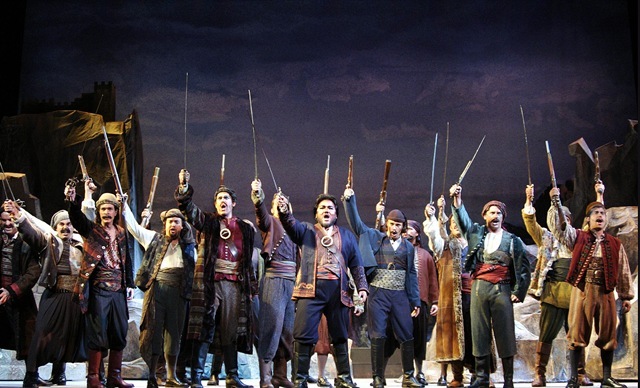 G. Of all these operas, was there one that really stood out as a revelation to you? V. They stand out as audience reception revelations. People loved Un Giorno di Regno, just loved it. And here’s an opera that is so maligned. Verdi put it away, why would anyone want to do this? And yet our audience loved this piece. I Due Foscari was another one. I remember when we were doing it, people said, “I hope you’re not throwing out the set, because I want to see this piece again. It’s fantastic.” Lombardi, I could actually feel the audience response to this. At the end of the opera, you could kind of — which I’m not aware of, I don’t really pay attention to that; they have to do their job and I have to do my job — but you could suddenly feel this, at the end of the season where they reveal Jerusalem, this sense of the whole audience taking a breath, and being so involved in it. That has been the audience revelation. For me, it’s been to find that in every piece there’s something that’s really beautiful and worth doing. And some music we never hear, because someone says “I’m going to do the trio from ‘Corsaro’ or ‘Masnadieri,’” but there is beautiful music in all of that. My great surprise has been the Four Sacred Pieces: the Stabat Mater is up there with any standard you use to judge music, and it’s not a piece I really knew until I studied it to do it. And I feel that way about the Te Deum, which we’re closing this cycle with. The others I knew. Everybody knows Falstaff is great, Otello, Aida, and the Requiem. G. The Requiem was the piece where I fell in love with Verdi. V. People criticize it — those who do — as being operatic or theatrical. But first of all, I think, people pray the way they are. The Italians in church are different than the British in church, they’re different than the Indians in church, they’re different than the Russians. And my other argument to that is, God is pretty theatrical. Appearing in a burning bush: That sounds pretty theatrical to me. It’s not like he’s sitting down and says, “Come on over, I want to give you a few things.” He gives you tablets from a bush! That’s opera. That’s theater. To me, the Requiem is about our relationship to eternity. Whether we believe in Abraham, in Jesus, in Buddha, in nothing, it’s all in that piece. It’s all of our fears, all of our love. G. If Verdi were here today, is there something you’d like to ask him? That suddenly made me think, OK, he doesn’t care about singing flat, what does he care about? If Verdi said to me, “The one thing I don’t want you to miss is that,” that’s what I would ask him. I would ask that of any composer. Because what we do, what we perform today, whether it’s me, whether it’s anybody at any theater, has nothing to do with what Verdi heard. There’s a recording from 1907 of Pagliacci with [composer Ruggero] Leoncavallo overseeing it. And they sing the wrong words, they sing the wrong notes, they sing them at the wrong time, and this is a recording, where they’re just standing there. It’s not the end of the opera, where [Canio is] throwing tables and threatening to kill [Nedda], and yet, they’re not even close. So what did Verdi mean when he said “So-and-So is wonderful”? I don’t think it meant what it means today. This whole concept of a clean performance is not something Verdi even wanted. So I would like to ask him questions after he saw three or four different performances [today] in different places. I think some of it would be amazing to him. I think he would say, “Wow, that orchestra is really amazing, but I don’t care. I want to hear the singers.” Why is the orchestra suddenly the most important aspect of a performance, even if it’s beautiful? One of the things that was very much the aesthetic of the time is that no element should pop out. So if the curtain went up and you said, “Oh, that set is incredible.” Wrong. Change the set. Rodin was doing a statue of Balzac, and everybody came in and looked at the statue and said: “That’s incredible. Look at that hand! You made this great hand.” And that’s all anybody looked at. So finally he just cut the hand off. I think there’s a similarity there in that Verdi didn’t want you to say, “Wow, what a great high note.” He wanted you to come to the theater and he wanted you to be involved in the lives of these characters. He was never really happy with a performance. There was always something; in Otello, he was very excited when it was over, but when he looked back: “This wasn’t good, that wasn’t good, and if you’re going to do it again, make sure you fix this.” We also have this idea today about what people expect, because you get a recording of La Forza del Destino from 19-whatever it is , and it’s Tebaldi, del Monaco, Siepi, Simionato — that’s not possible in a theater today. People need to go into performances a little more open. And I find it’s people with more operatic knowledge who do go in a little more open. V. No, he hates it. “Doesn’t like” is a little too passive. G. But you could argue that you want to do it this way, or you could say this is the best way to see Verdi. V. A couple of things: To me, Verdi wrote three operas. One was a textual opera, one was a musical opera, and one was a visual opera. Unfortunately, we can’t do Verdi’s visual opera, which involved very dramatic posing gestures. But that’s what he saw … and there’s something very human about that. So I believe in it for that reason. I also believe that you enter a theater and you hear a story. And that story has to do with the words as much as the music, and people don’t react to the words. You can’t be the duke of Mantua and be in Las Vegas. It’s just fake. It’s lies; you’re lying. And the audience is sitting there, they have to either ignore the text or ignore the staging, and why would we want them to do that? The third thing is nobody really does opera the way we do it. People who complain: Go other places. But if you really want to see opera like this, this is where it happens. And where it actively happens. If not as if somebody says, maybe the director wants to do this traditional opera. Here, it’s part of the aesthetic of the company. When you come in as a performer, whether it’s as a conductor or director or singer, you are part of the aesthetic of this company. And the Verdi aesthetic goes back to 1989. It’s not as if I’m suddenly going to change that aesthetic. One of the things about this cycle that’s different even from others who’ve tried to do this — Covent Garden, Bilbao — is that I don’t know that there’s as consistent an aesthetic view. There’s a consistent musical view because it’s me, but there’s also a consistent visual and dramatic view because I make sure it happens. I kind of feel like what we do is cutting-edge. And I feel like those other things are just driving people away from opera. You know, when people say “opera is dying,” what they’re not saying is “opera is being killed.” I went to opera as a kid because I went to a different world. And I think people enjoy that. They don’t want to get off the subway and go back into the subway. When I got off the subway, I was in Egypt, I was in Japan, I was in Paris, I was in Rome in Tosca. And why take that away? That’s what it’s about. G. I once asked José Carreras about which Verdi operas should be in regular repertory, and he told me: A to Z. Everything. V. I would say there are 16 [Verdi] operas that every company in the world should do, without a question. I don’t think every opera company should do Oberto or Masnadieri, but they should occasionally be done. Once you get to Macbeth, you skip a couple, but with Luisa Miller, everything he wrote after that should be done: Sicilian Vespers, Forza, Ballo, Don Carlos in all its permutations. The audience loved Don Carlos. I said to people, “I just want you to know: it’s a long opera. Be prepared.”People came up to me afterward and said, “I don’t know why you said it was a long opera. I wish it were longer.” That’s what I got. G. So everything after Luisa Miller, then. V. But even before that. Macbeth has to be done. Nabucco has to be done in every theater. Attila needs a life. G. I’ve not seen a lot of Verdi in recent years on our side of the state except for Macbeth, Nabucco, Traviata and Rigoletto. And one Otello. Any idea where these other operas are? 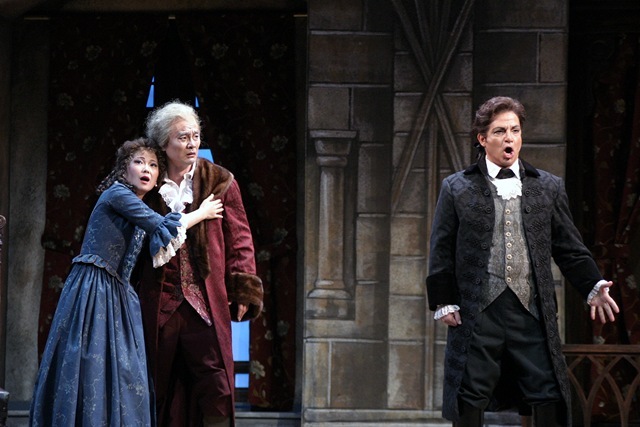 V.: There were many more popular operas when I started into opera, that people knew. We used to talk about the top 10 operas and say, “These are operas that, if you don’t know anything about opera, you’ve heard of …” Now that’s very limited. If you know nothing about opera, you’ve heard of Bohème, Traviata, Tosca, Butterfly, Carmen, Barber of Seville. When you talk about the big Romantic operas, something like Aïda, people still know it. We’re selling a lot of tickets for it, but small companies can’t do it. I think that’s part of the problem, that we don’t have people who can sing it. I like big voices, I hire big voices, I also have an 1100-seat theater, which is where Verdi performed his operas. La Fenice is an 1100-seat theater. For many operas, he thought La Scala was too big [it has 2,030 seats]. 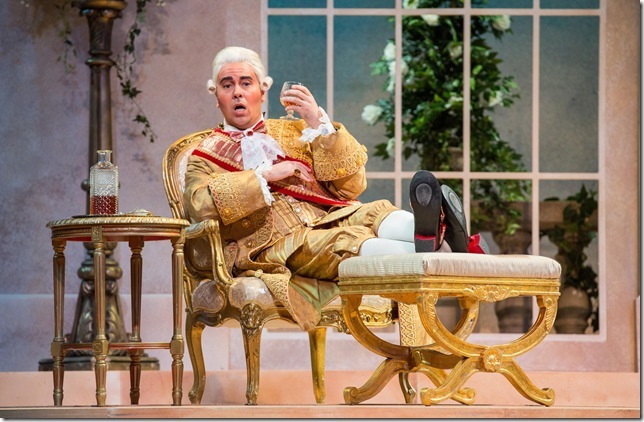 He didn’t want Falstaff premiered at La Scala because he thought the theater was too big. He thought the audience wouldn’t understand the words. When Boito first saw Die Walküre at La Scala, he said, “I don’t think the piece works. The theater’s too big for it.” And now we think everything has to be big. If you’re doing Aïda, it has to be two arenas put together. And that’s not what it’s about. The triumphal scene we’ll do will be the biggest thing we’ve ever put on stage, and it’s going to have a lot of stuff. But most of Aïda is two singers or three singers, or it’s an aria. It’s about “Celeste Aïda,” it’s about “O patria mia,” it’s about the duet. That’s what it’s about. So he writes this incredibly intimate opera, and right in the middle of it, he puts 21 minutes of this great scene. You need three choruses, you need trumpeters on stage, you need dancers, you need a band offstage. All of which we’ll have, but it’s all for that 21 minutes. 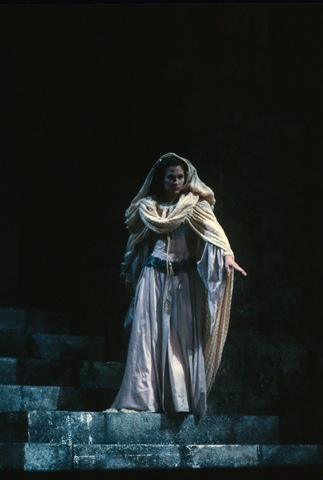 G. Time was when Aïda was the big Verdi opera for everyone. Now you almost never see it. But that’s not what opera’s about. It’s not sitting home and watching a DVD. As much as the music is part of it, it’s a communal activity. It’s about leaving your house, coming and being with your community, and sharing the emotions with your community. And we used to do much more of that.